for free deliver, plus 6% quidco too. A bargain of a stocking filler. Keep warm and snug this Winter in Radley’s comfy slippers. With bow detailing on the front with a red and fabric exterior with pink trim, and luxurious fur lining you will not want to step out of these this Winter! 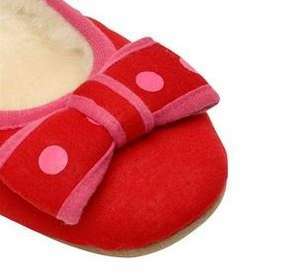 Radley slippers like this cost £20 plus from ebay, so all in all a good deal. i cant seem to get the 20% off to work using the code still comes up at £13.00 any help please ? i cant seem to get the 20% off to work using the code still comes up at … i cant seem to get the 20% off to work using the code still comes up at £13.00 any help please ? Thanks, good fine, order 2 pairs as Christmas presents. Argh... trying to order, but it keeps removing my mobile number from the delivery address bit, and so stops it all going through. Tried 4 times now! Argh... trying to order, but it keeps removing my mobile number from the … Argh... trying to order, but it keeps removing my mobile number from the delivery address bit, and so stops it all going through. Tried 4 times now! Just Ordered mediums, hovering the mouse over the size says in stock so put the order through, no problems so far. Just Ordered mediums, hovering the mouse over the size says in stock so … Just Ordered mediums, hovering the mouse over the size says in stock so put the order through, no problems so far. Ordered some in Medium just now, thanks OP. The free del code works but when you get to the payment stage it drops off! All good! Ordered a pair of large for the wife's stocking. Have some heat! Anyone had their order despatched yet? Mine just arrived. Cute slippers, do slip off the back of the heel though!